​Animals are sentient beings. There is consciousness within them. The act of veganism or vegetarianism denotes a deeper understanding than simply maintaining health. We are one. One being eating another being is akin to one being eating itself. It is "destruction" of a unified consciousness. This hardens one and destroys one's ability to relate to other consciousnesses. It fosters a mentality of predation and carnal superiority. There is no coincidence that eating flesh often makes one fat. It increases one's density. 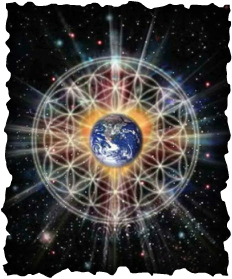 Any student of spirituality and Truth knows of vibration - lower vibrations moving slower and appearing more solid while those things/beings with higher vibrations move at faster speeds and appear lighter, less solid. If one wants to be freer from the dense and heavy clutches of earthly existence, one strives to maintain a higher vibration. This is done is myriad ways, including laughter, breath control meditation, mantra recitation, and diet--to name a few. This realization about the inter-connectivity of life and consciousness can then expand to include ALL life. The objective is to remain sensitive to the "other." To attain completeness and self-sufficiency without harming another being. To help. To heal. To love. Why would a priest or priestess in ancient Kemet eat cat-- considering their knowledge of Sekhmet, Bastet, and Mafdet? Why would sadhus in India/Indus Kush eat cow or bull-- considering their knowledge of Radha Krishna? Priests and priestesses, sadhus and devotees represent our highest striving for knowledge/experience of God and Truth. They do not eat flesh, typically, for these reasons. This knowledge is available, freely, to all. Speak the Truth and everything will fall into place. Predation is based on the lie of separation. We are one. God is one. When this is realized, one loses the "need" to eat animals altogether. Energy is sustained through subtler and subtler means. One who eats meat, especially when obtained through cruelty, is yet unaware of the magic of interrelated consciousness. Neither is a flesh-eater aware of the larger ramifications of "animal" consciousness. Various spiritual groups (Native American, Kemetic, Wiccan, etc etc) have spoken of animal totems, forces or "gods." There was a knowing that this force, just as in humans, is to be respected. When respect is shown, wisdom is shared. We are as fragmented shards of light. Each single piece holds a portion of Truth. Even animals. They are not beneath us. They are symbols of a greater universal and multidimensional Truth. How one relates to animals is akin to how one relates with other human beings. Both are steps toward knowing how to relate to the Divine totality of being. Standing on the edge of one's homeland and seeing nothing but ocean, one thinks one is alone. The degree of a society's ability to deal benevolently with an eventually appearing "other," depends on that society's ability to see and maintain unity within its own borders... first. How does one deal with animal life? Male-female relations? Disputes? The microcosm grows larger and larger until it contains within it the perfect alignment of the macrocosm, the ideal blueprint for love, harmony and fulfillment of purpose.